Incendiary rap talent slowthai has dropped new release 'Rainbow' - tune in now. 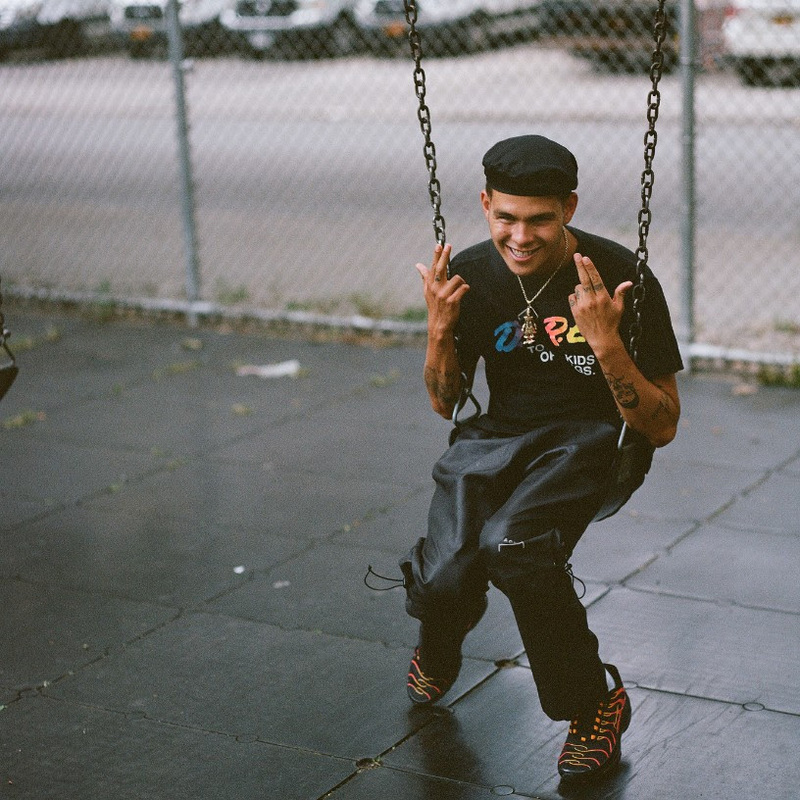 Each new track from the Northampton artist seems to occupy its own world, with slowthai resolutely refusing to repeat himself. 'Rainbow' deals with race, with the way society seems to construct these ideologies as a means to separate, and enslave. The pared down beat is dominated by those strings, while slowthai's delivery - so instinctive, and instantly recognisable - purrs underneath. "Not white, but not black either," he raps, as the slow-build arrangement ruptures in intensity. The visuals are ultra-trippy, a fusion of colour and texture that makes for hypnotic viewing.